There are many positive aspects of social media use. Teenagers can use these platforms to stay in touch with friends and family, explore their interests, and share and absorb ideas. But with new apps and social networking sites sprouting up constantly, it’s hard to know what your child is doing online and how safe they actually are. 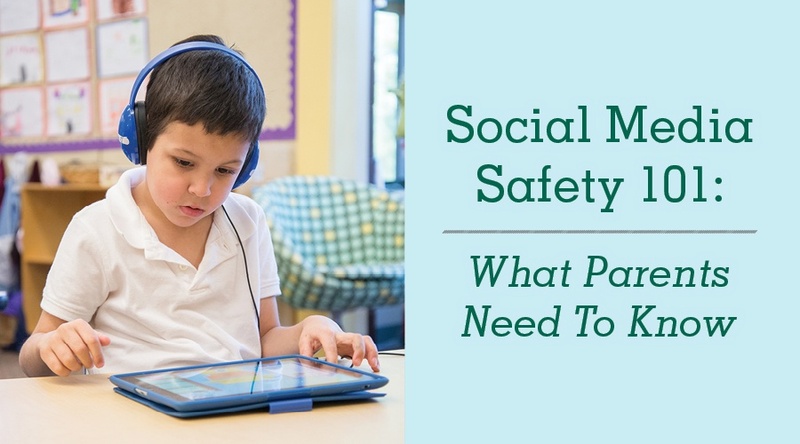 It should go without saying that if your child has a social media profile, it should be set to “private,” where only friends can access their full information. On some platforms, you can even take steps to control who can search and find your profile. Facebook allows users to remain unsearchable or difficult to find, which keeps strangers from reaching out to your child. You can learn more about the privacy settings for Facebook, Instagram, Twitter and Snapchat on the “privacy” or “FAQ” pages for each platform. Another strategy to keep your child’s information safeguarded is to ask them not to use their full name, by either listing their last name as their middle name or simply using the last initial (like Jack Andrew or Jack S). Also be wary of the sites and apps that you may not use as a parent. Tumblr and Reddit are blogs and message boards popular with teenagers, as are Kik and Whatsapp – instant messenger apps that don’t require a phone number to use. Explain to your child the importance of thinking carefully about the content they share and how much personal information they reveal on their profiles. Once something is on the internet, even if it is deleted, it will stay there indefinitely. It’s hard for a child to understand how serious that is. What they post today can follow them for years, with the potential to reemerge when they apply to college or a first job. Not everyone on the internet is a friend. As most parents are well aware, the internet is an ideal place for faceless strangers to contact your child under the guise of someone friendly. It’s important for young users to only accept friend requests from the people they actually know. Cyberbullying has become very common as young people’s social lives have shifted online. It’s important to know what cyberbullying is so your child knows how to act appropriately online and how to spot it if it’s happening to them or a friend. According to the National Crime Prevention Council, cyberbullying is similar to other types of bullying except that it happens online and on cell phones. Examples of cyberbullying include sending someone threatening or mean messages, tricking someone into revealing personal or embarrassing information, or breaking into someone’s social media account to impersonate them. Cyberbullying tends to be harsher than face-to-face bullying because the perpetrators can hide behind screens or remain anonymous. Let your child know you are available to discuss this serious issue. As with any privilege, social media usage should come with ground rules. Establish what these are in your home. Maybe it’s a limit on how long your child can be online each night or what websites they can visit. The best strategy for your family might be to keep the computer in a shared, central location. Perhaps you require your child to “friend” you on these platforms. Each family is different, but ultimately ground rules should keep social media usage safe and open. Read our Responsible Use Policy to learn how Shipley prioritizes our students’ safety online.